The AAP government has asked the DMRC to justify its proposal to procure over 150 coaches along with its financial implications. 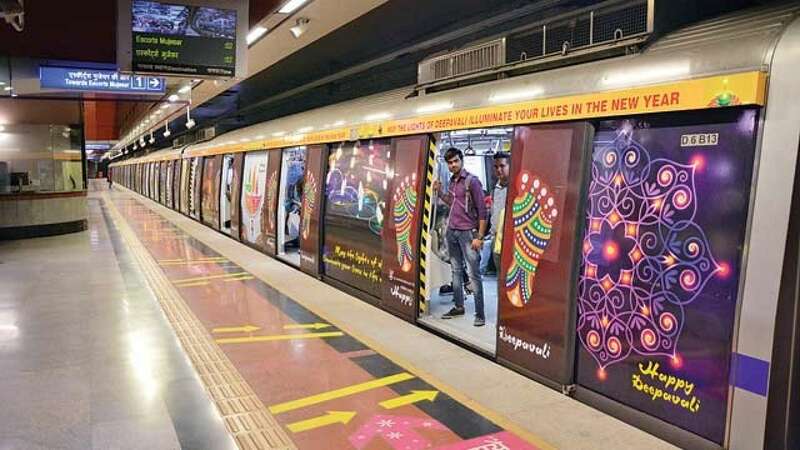 New Delhi: The Aam Aadmi Party government has asked the Delhi Metro Rail Corporation (DMRC) to “justify” its proposal to procure over 150 coaches along with its financial implications in view of the drop in ridership after the fare hike. In two letters to DMRC’s Director (Business Development), the government has also sought details and background of the long-pending proposal, which will enable DMRC to convert all its remaining six-coach trains on Yellow, Blue, and Red lines to eight-coach ones. The details have been sought as the DMRC has revised its proposal multiple times since January 2017, leading to “confusion” in the government, an official said. “Also, the situation has changed drastically after the fare hike. The DMRC had estimated that 40 lakh people would use its network after the commissioning of Phase III, but it is clear that the target is not going to be met anytime soon,” the official claimed. However, the government has indicated that it will clear the proposal. The letters state that a “Cabinet note is proposed to be mooted to obtain the approval of Government of NCT of Delhi”. “In this regard, it is requested to furnish the following details along with supporting documents concerning the above proposal: Background of the proposal, present proposal, details of DMRC board’s approvals along with concerned agenda and approval of thereof, justification, financial implications and share of GNCTD” the transport department letter, dated July 27, states. When no response came, the department followed it up with a reminder on August 23. As per DMRC documents, the original proposal of the corporation, dating back to 2015, was to buy 916 coaches.